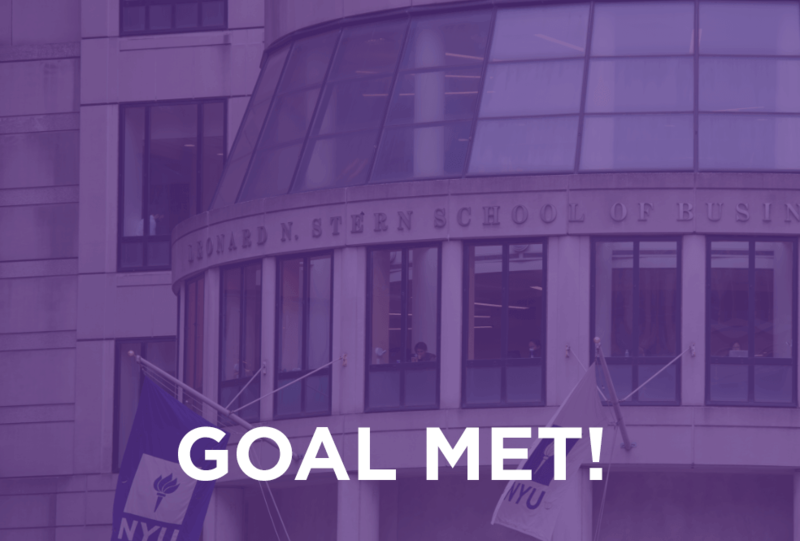 Stern Undergraduate Class of 2019—help us reach our goal of 40 student donations on NYU One Day! All gifts from seniors in the Class of 2019 honor Dean Menon in her last year as Dean of the Undergraduate College of NYU Stern. Your gift to Stern Legacy helps create scholarships for incoming freshmen and transfer students at Stern.